Once an order has been placed, in the Orders area, you have the ability to update the shipping address for an order, as well as the Shipping Tracking Code and any Delivery Notes. This is available for if a customer informs you that information has changed before shipping takes place. 2. Find the Order you want to edit, and select the dropdown next to the order labeled Actions. 3. Select Edit Order from the dropdown. 5. 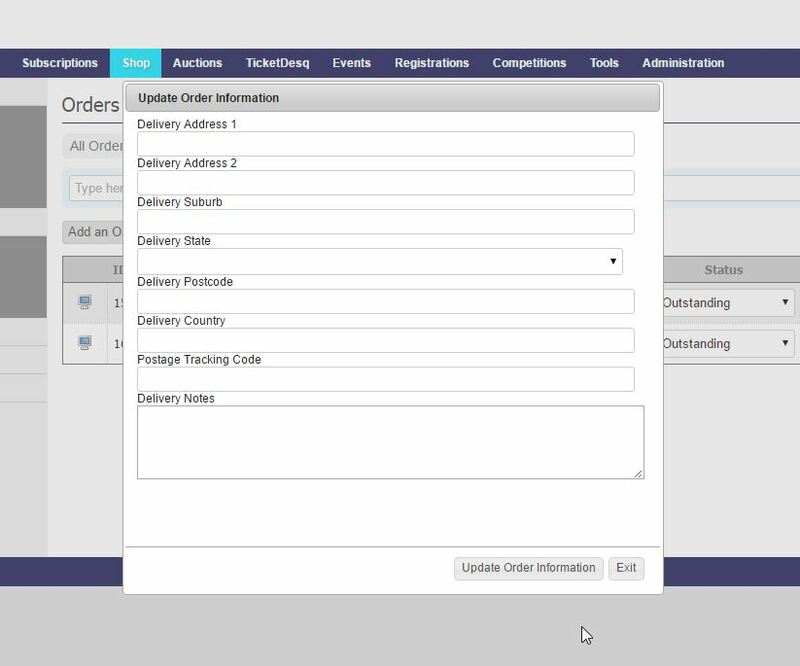 Once complete, click Update Order Information. Note: Once an Order has been placed, you are unable to make changes to the items that have been bought. If a customer wants to make changes, you'll need to cancel the order at your discretion and the customer will need to reorder their items.